I have another card to share from the latest Whimsy Stamps Release. I have used the Splash Stamp Set. This is one of those sets that I saw and just. Had. To. Colour! I'm busy preparing samples for some TV work at the moment. I don't have a date for you yet, but I do have some specific colours I need to work with. It's actually been a lot of fun using colours I might not normally choose. And before I go, if you are local to Stamp Magic at the Doncaster Dome today, stop by. I will be there with Dies to Die For and I'm happy to answer all your questions. Love that sea - hope Dies to Die for will have it next month in Molesey! 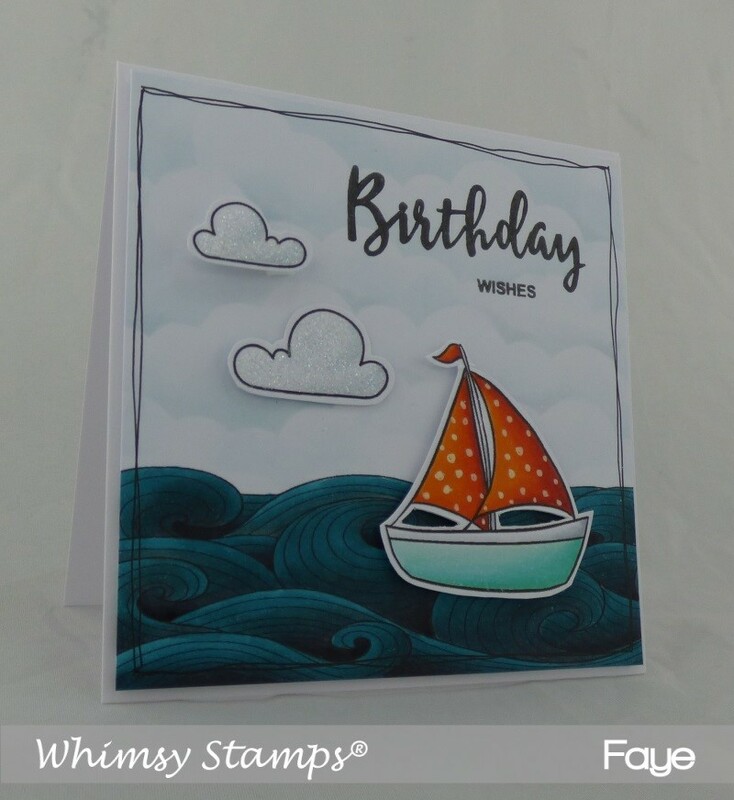 wow love the colours you have used here especially for the sea, the waves look amazing.